Charles B. “Chuck” Colvin has extensive general litigation experience and has tried numerous civil matters, in multiple jurisdictions, at both trial and appellate levels. He focuses his practice primarily on personal injury litigation, plaintiff and defense, in various fields including class actions, maritime and offshore, casualty insurance, medical malpractice, toxic and environmental torts, premises liability, and aviation accidents. 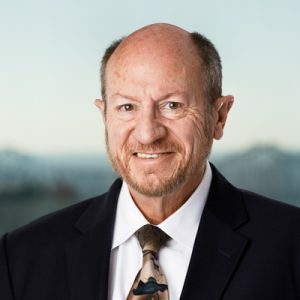 Chuck’s expertise also includes business litigation, life insurance litigation, medical contract disputes, and commercial disputes. He has extensive experience in multiple party injury and death matters, class actions and mass torts, including helicopter crashes, rig capsizings, nursing home abuse, refinery explosions, and vessel sinkings. Chuck has served as an expert consultant or witness on interdiction and tutorship procedures and attorney fee disputes. Chuck has developed extensive experience in procedurally complicated cases involving jurisdiction, venue, removal, class actions and multi-district litigation. Chuck served as co-counsel for the plaintiffs in three national class actions against three major banks. One in particular was certified, based on civil RICO violations, against a well-known major bank. That litigation, which began in Louisiana but was later transferred to California, was hard fought and spanned years. It required numerous depositions at locations all over the country, numerous hearings, and a number of mediations at various locales. After years of work, the bank finally agreed to a very advantageous settlement for the plaintiffs. The two other putative national class actions against major banks are still ongoing.